I am on a mission to gain lean body mass, and this involves a lot of nutritious but at the same time tasty meals that I can easily take with me to work. Meals should be high in protein and low in sugar. 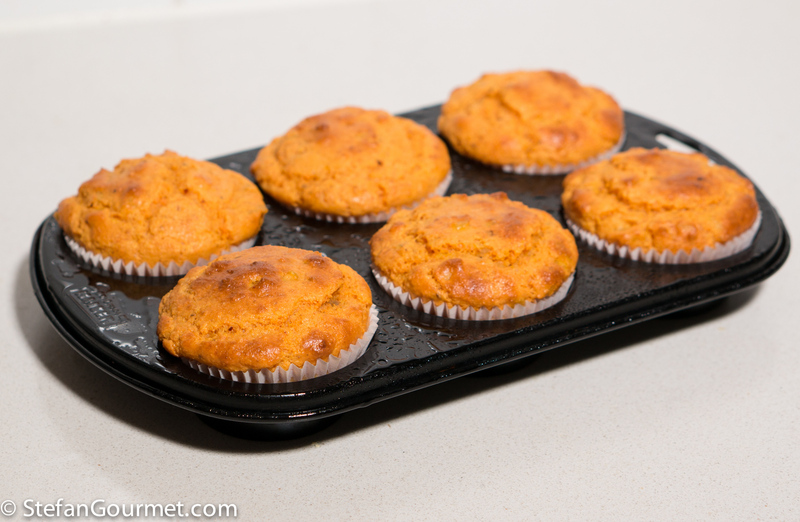 Savory muffins are great, because they are easy to bring to work, don’t require refrigeration during the day, and I don’t even need cutlery to eat them. And most important they taste well, because eating a lot is doomed if the food you are supposed to eat isn’t good. And so I am constantly developing new recipes for savory muffins, like these chickpea muffins with sundried tomatoes or peas. My latest invention was an instant success, as I loved the first batch. 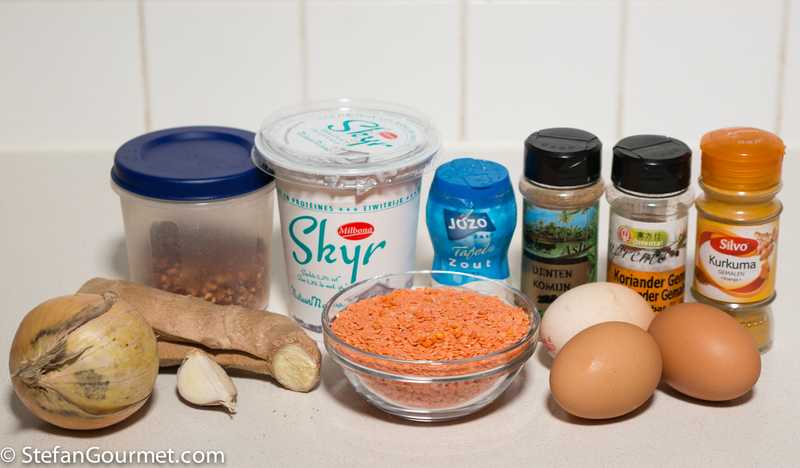 I noticed that red lentils contain a lot of protein (28%) and fiber (14%), so I thought they would be a great ingredient. 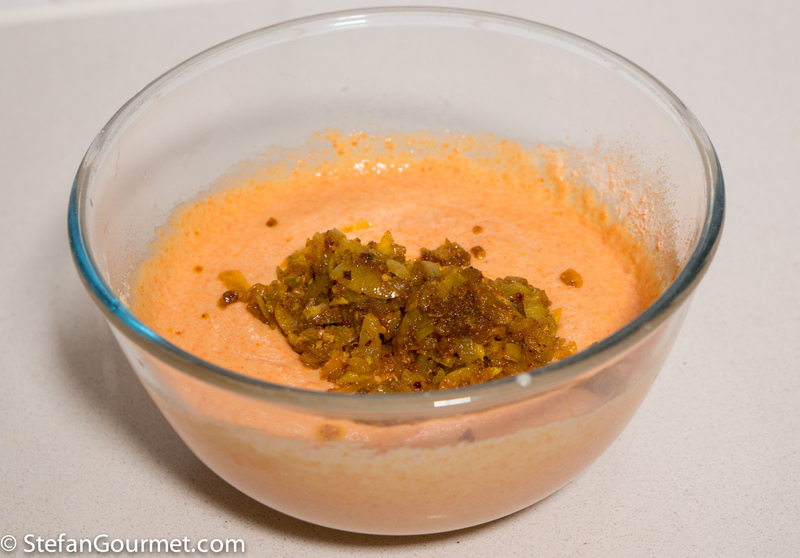 Then I remember this Indian red lentil soup, and developed the recipe from there. I used skyr (Icelandic yogurt) because of the high protein content, but if you can’t find it you can substitute with low-fat yogurt or quark. 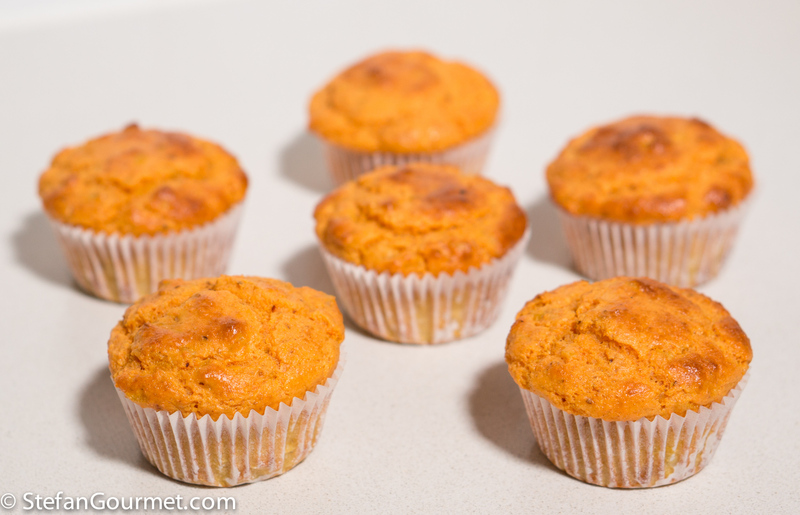 One of these muffins has 175 kcal, 13 grams of protein, 17 grams of carbs, 6 grams of fat, and 2 grams of fiber. They are mildly spicy and very tasty. 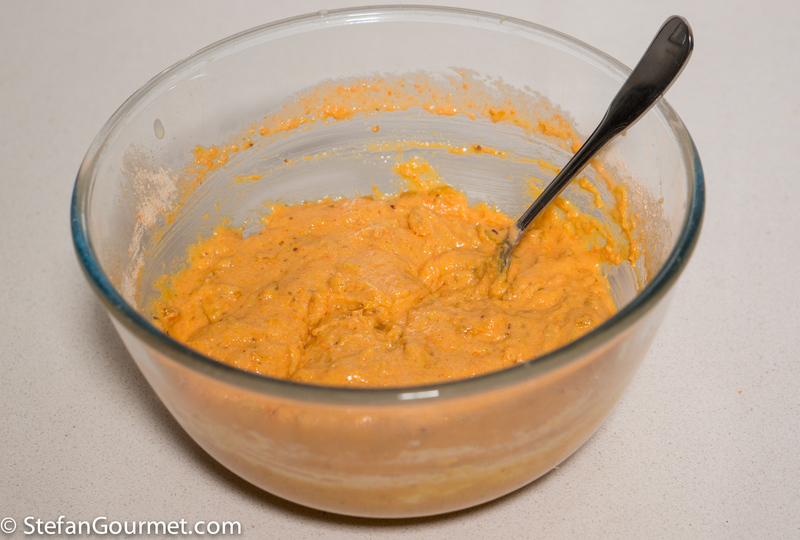 If you like it very spicy, feel free to increase the amount of spices. Oh and they are not just suitable as ‘power food’ — I imagine they also make a great side. 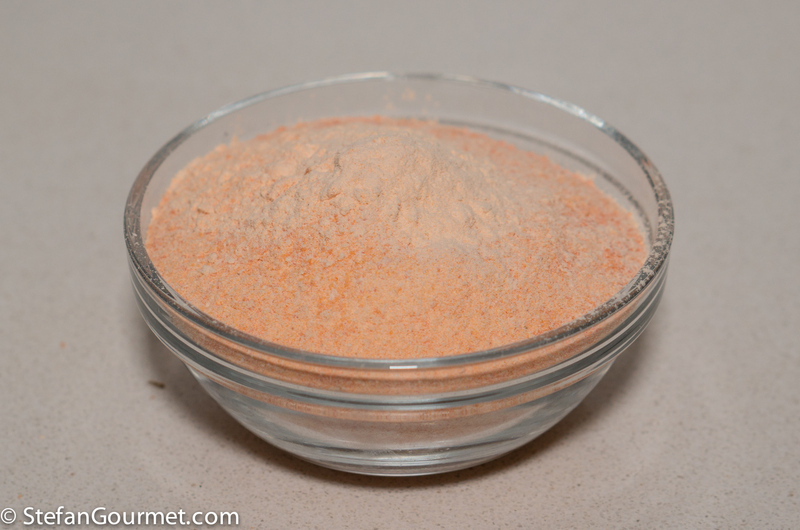 …until it is a fine powder. 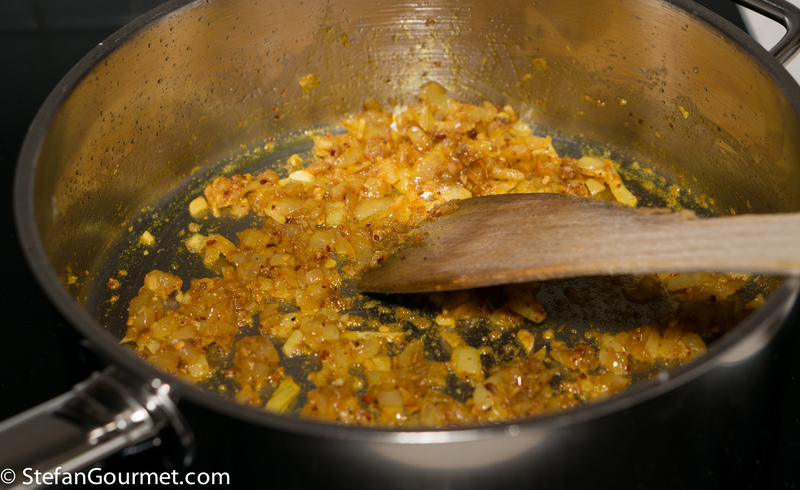 Heat a tablespoon of ghee (or coconut oil) in a frying pan and add a minced onion. 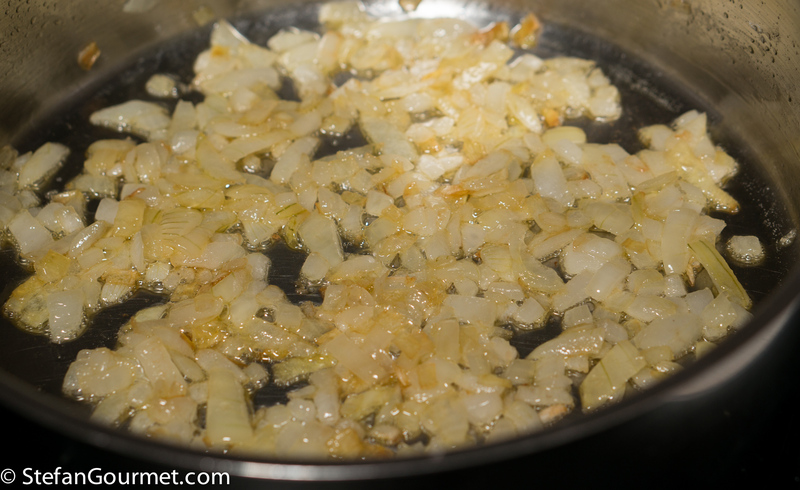 …until the onion is golden, about 10 minutes. 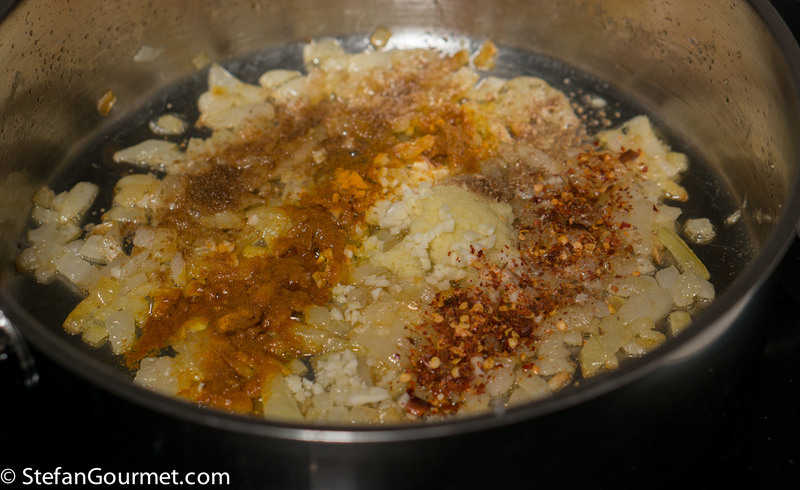 Add 1/2 Tbsp grated fresh ginger, 1 minced clove of garlic, 1/2 tsp ground cumin, 1/4 tsp ground coriander, 1/2 tsp ground turmeric (or 1/2 Tbsp grated fresh turmeric), and 1/2 tsp red chilli flakes. 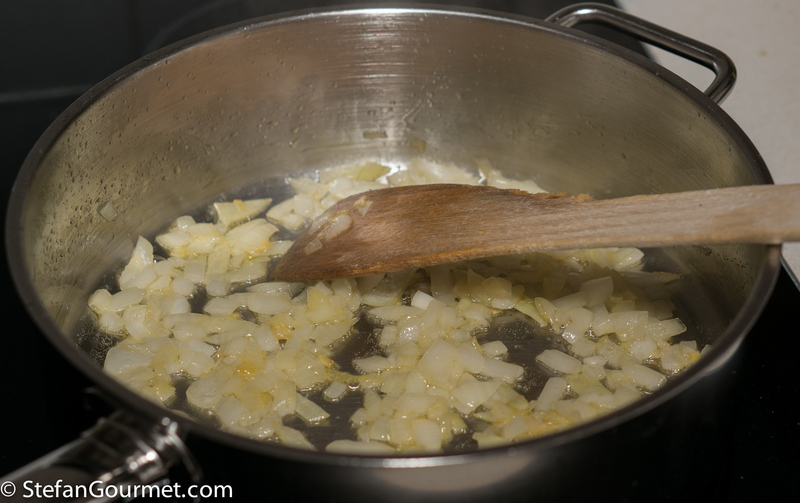 Stir for another minute, then turn off the heat and allow the mixture to cool. Preheat the oven to 180C/350F. 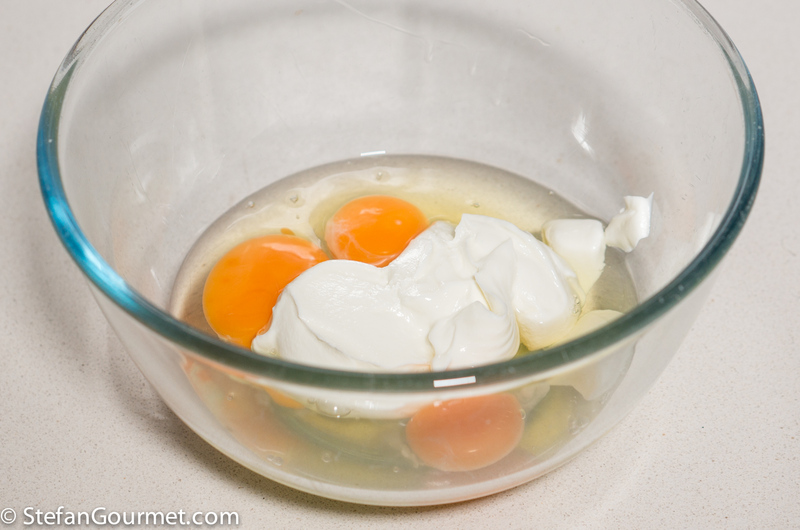 Put 3 eggs and 150 grams of skyr in a large bowl (the total weight of eggs and skyr should be 300 grams; use a bit more or a bit less skyr to make up for eggs that are smaller or larger). 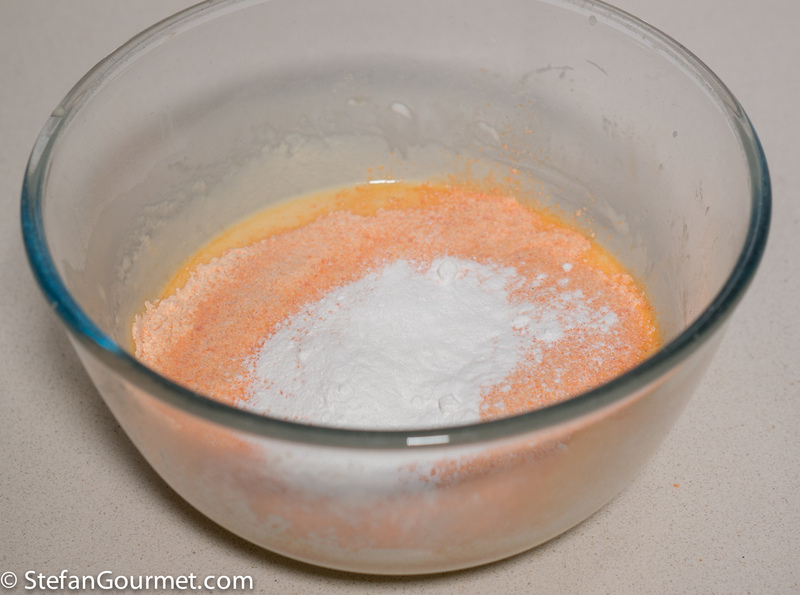 Add 150 grams lentil flour and 10 grams baking powder. 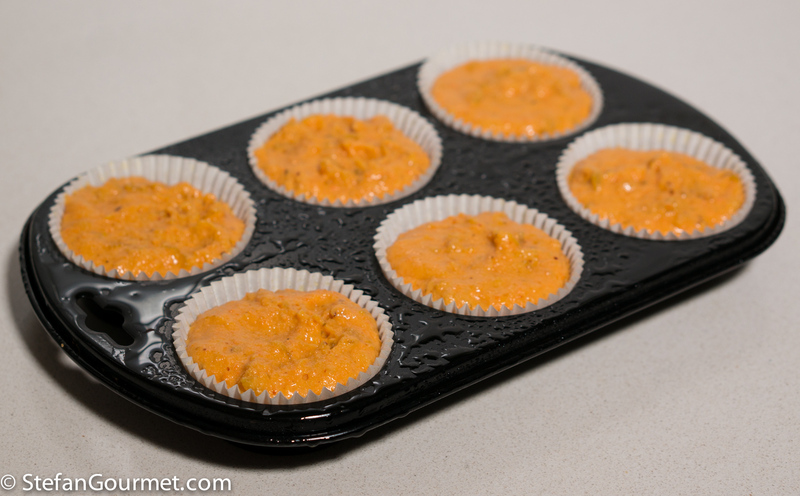 Divide the mixture into the 6 holes of a muffin pan that are lined with paper muffin cups (optional) and sprayed with vegetable oil to prevent sticking. 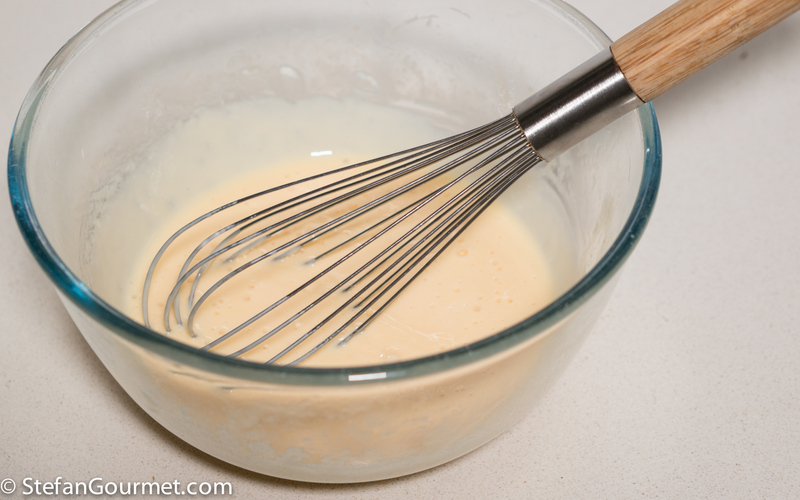 Bake for 20 minutes at 180C/350F, or until a toothpick inserted in the center comes out clean. Serve warm or at room temperature. 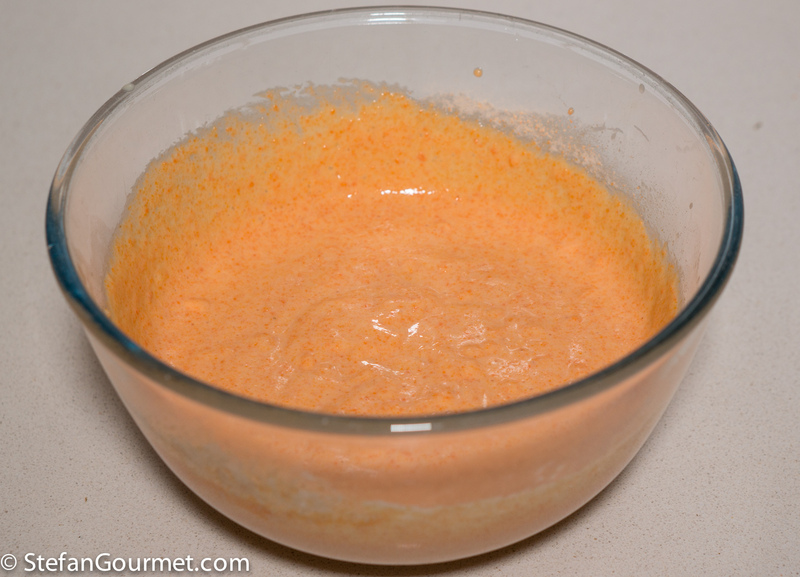 They will keep for a few days at room temperature, and for about a week in an airtight container in the refrigerator. 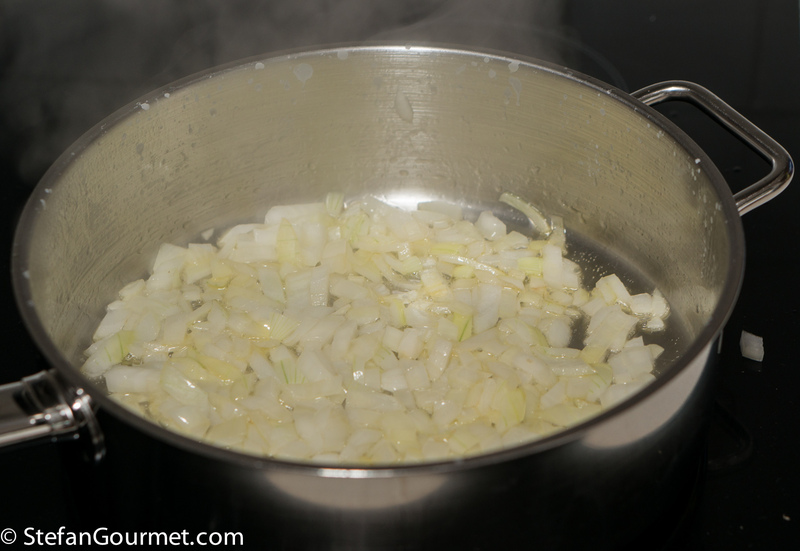 Allow to come to room temperature or warm up for 10 seconds in the microwave before serving. Char Siu is pork that is marinated in a sweet spicy red sauce, and then grilled while basting with the marinade until crispy on the outside. When the pork is cooked sous-vide, the result is even more spectacular because of the nice contrast between the tender and juicy meat and the crispy exterior. 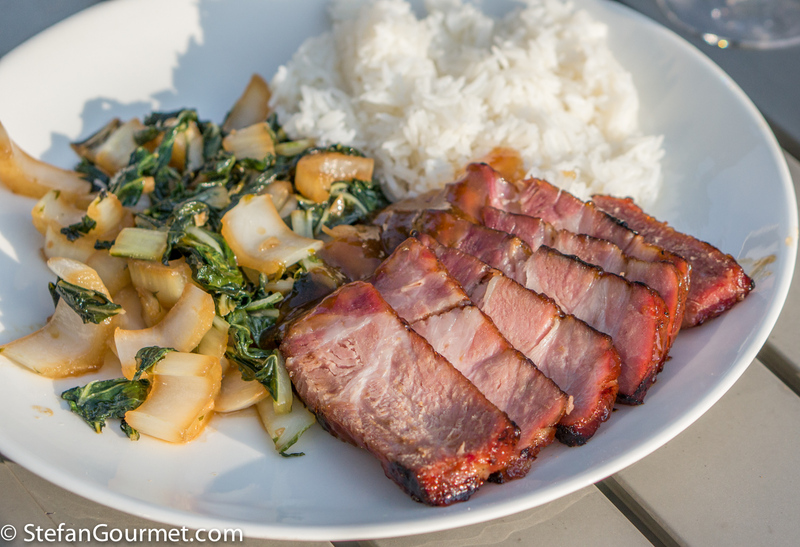 This is a really easy recipe with only two ingredients if you use store-bought char siu marinade. This is one of the recipes that have ‘converted’ quite a few people to cooking sous-vide already. So who’s next? These muffins are great Stefan. High in protein and low carb. I could eat these saving the recipe. 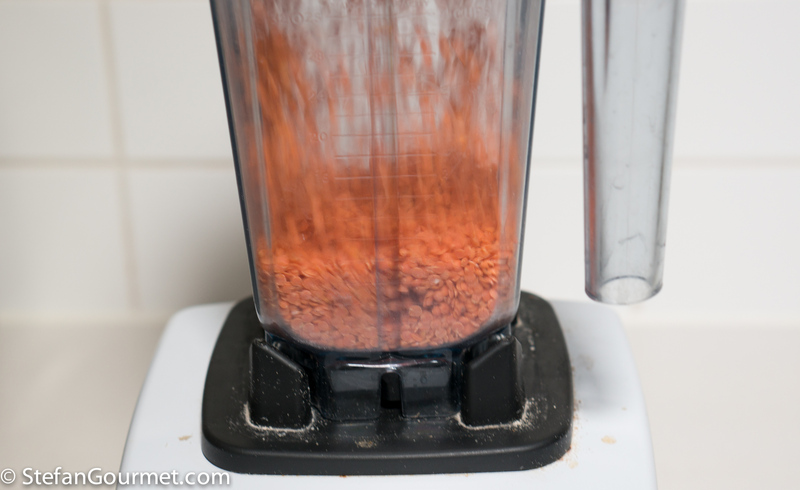 I will have to search for lentil flour but if I can’t find I could probably grind lentils to make it. Fantastic recipe I truly shall copy! With my own lentils and slightly more cumin, coriander and the very healthy turmeric. I make my own ghee and am just coming into the coconut oil stage . . . . I guess gym work is there in tandem with goodies like these to get that lean muscle mass . . . . doing sedentary work during the week what a great discipline . . .
Oh yes hitting the gym 4 times a week, also to compensate for that sedentary work. They look excellent. I cooked some halibut with chickpeas at the weekend. Very tasty indeed. the blog’s new look is very nice. Good luck with your mission Stefan. The muffins sound great! Fantastic recipe! i like your muffins!